Do you always seem to be looking for simple dinner ideas? Especially now that we are approaching the back-to-school and busier fall season, having some simple dinner recipes that work for your family can go a long way in getting through those busy weeknights. Over the next few weeks as we head into September, we will be featuring a series of simple dinner ideas that are ideal for hectic weeknights, taste great, and are kid tested. 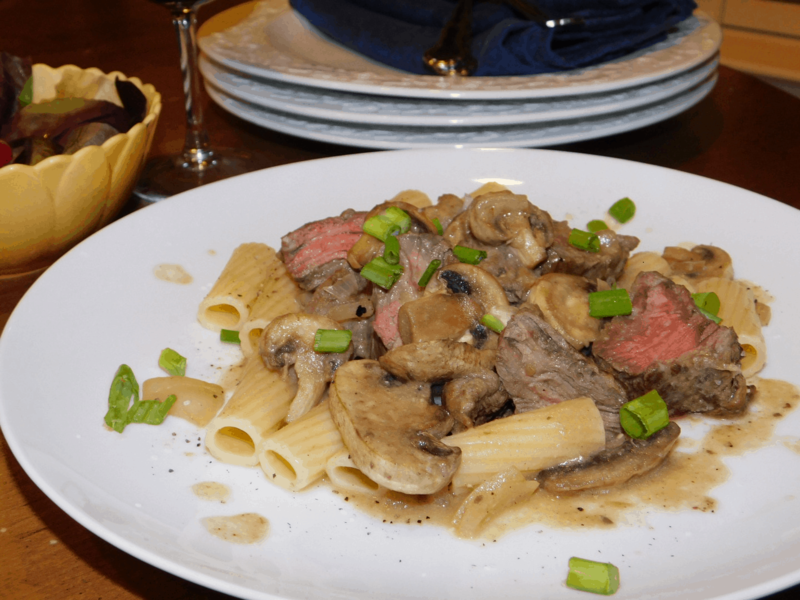 Up first is a great recipe for the meat lovers in your family – our Beef & Mushroom Dijon. Huge on taste, simple and quick to make and it uses many basic ingredients you most likely have in your pantry already. serve over cooked egg noodles (or pasta of choice) or rice. Complete meal with a simple green veggie or salad. Melt butter in saucepan over low heat. Whisk in flour & cook 1 min, stirring constantly. Slowly add in broth & milk, whisking until smooth. Turn heat to med, bring to a simmer & stir until it thickens, about 2 to 3 mins. Remove from heat, season with salt & pepper, and set aside. Spray large skillet with cooking spray. Add beef, season with salt & pepper, and cook on both sides until browned. Remove & set aside. Add mushrooms & onion to skillet, cook on medium heat for 5 mins. Add sauce, water, mustard & steak into skillet. Stir and cook until steak is at desired doneness. Serve over noodles or rice. We hope you enjoy this dinner with your family. If you make any modifications or have any comments, please share below! If you like this recipe, take a minute to learn more about The Dinner Daily. Where are the nutritional values?? Hi Dawn, thanks for your comment! We’ve added the nutritional values to the post.